Large, many-petalled flowers appear in abundance, filling the surrounding air with their sweet perfume. 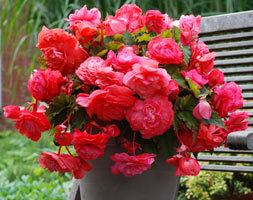 For best effect plant them in a sheltered position near an entrance or seating area. Their rich colouring makes them easy to place in mixed planting schemes.